The Defender Automatic offers a wide range of variable flows and is available in 1.5" and 2.5" and in three models. The automated system ensures a strong operating pressure and constant gallonage in all positions. Flow ranges from 15 to 210 GPM in each model. 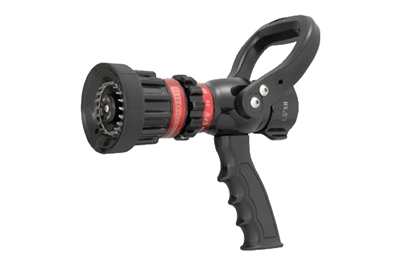 Lightweight, hard-coated and built-to-last, the Defender Automatic nozzle features a durable polymer shut-off handle and two-part rubber bumpers for maximum protection and easier gripping. 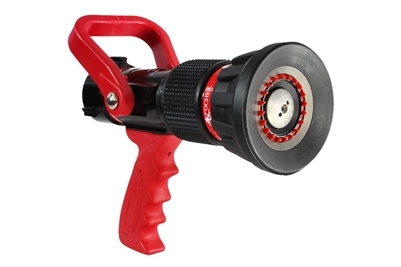 The Protek Style 366 nozzle is designed for all fire ground needs. Suitable for various industrial, municipal and marine applications.